Some drugs and APIs are more challenging to produce than others – and Propofol is an excellent example. If the name Propofol rings a bell, it’s likely because the drug has spent time in the news over the last decade or so. This included one widely-reported case of off-label usage – Michael Jackson’s overdose – as well as product recalls, legal stumbles and a shuttered manufacturing plant in China. 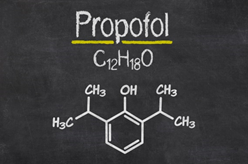 Propofol was approved for use in the United States in 1989. Today, it resides on the World Health Organization’s List of Essential Medicines. It’s a difficult-to-formulate and difficult-to-manufacture compound, as sustaining a stable aqueous solution of propofol can be challenging. While supply issues may have stabilized over the past few years, the drug’s production remains complicated. 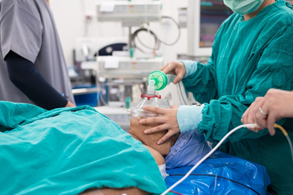 There are a number of production challenges with Propofol, all stemming from its complicated formulation and expensive, difficult and lengthy manufacturing process – with minimal tolerance for deviation. 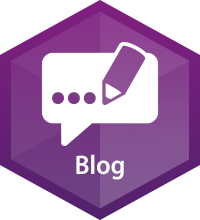 What are some of the specific commercial manufacturing complications which must be overcome? Propofol has very high lipophilicity. Propofol’s highly lipophilic nature is due to isopropyl substituents on the ortho position of an aromatic ring. To overcome this, emulsions are created. But there are drawbacks, including emulsion instability. The compound’s extreme lipophilicity necessitates dispersion in soybean macro emulsions in order to produce a white, opaque formulation. Propofol is also air-sensitive, and exposure to oxygen during manufacturing & packing must be avoided. For this reason, it is typically packed using aluminium containers in a nitrogen atmosphere and then stored at 2 – 8 degrees C.
Manufacturers must take strict measures as the type of oil or liquid used for emulsions and any exposure to an oxygen environment form oxidative impurities and encourage growth of microorganisms. A New Generation of Propofol? The need for such measures in the processing and manufacture of Propofol has driven exploration of alternate (and easier) formulations. For example, it has been hypothesized that Propofol could be associated with biocompatible surfactants to form transparent, colourless, thermodynamically stable, low viscosity, oil-in-water micro-emulsions with droplets having a 10- to 50-nm diameter instead of macro emulsions. In the meantime, bulk Propofol manufacture continues with tried-and-true – and very exacting – techniques. Neuland purifies the product using fractional distillation to get consistently high quality & yield. Neuland began manufacturing Propofol in 2012, and filed a USDMF in 2013. We were also granted a Certificate of Suitability (CEP) demonstrating compliance with the relevant monograph of the European Pharmacopoeia by the EDQM within 9 months of filing (today’s industry average is 18 months). Neuland’s proven Propofol manufacturing capabilities rely on our expertise with complex chemistry, our dedication to rigid quality assurance and our decades of experience synthesizing molecules at the commercial scale. Learn more about Propofol, or discuss available marketing & distribution opportunities around the world. Contact Neuland Labs today.